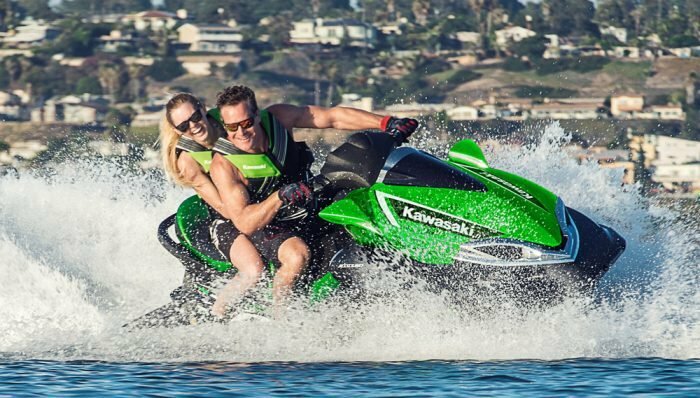 The 2018 Kawasaki Ultra 310LX boasts an engine with the highest stock horsepower in the industry and a sound system that further sets it apart. The 2018 Kawasaki Ultra 310LX sits atop the company’s expansive Ultra line, but also the industry in general in several ways. Its engine boasts the highest stock horsepower currently on the market. Its hull has racked up endless offshore championships and in many ways come to set the standard for modern, flagship three-seaters. Even its price, for better or worse, tops all competitors. But is it the “ultimate” flagship in the personal watercraft market? Read on and decide for yourself. The cornerstone of any flagship craft is power. 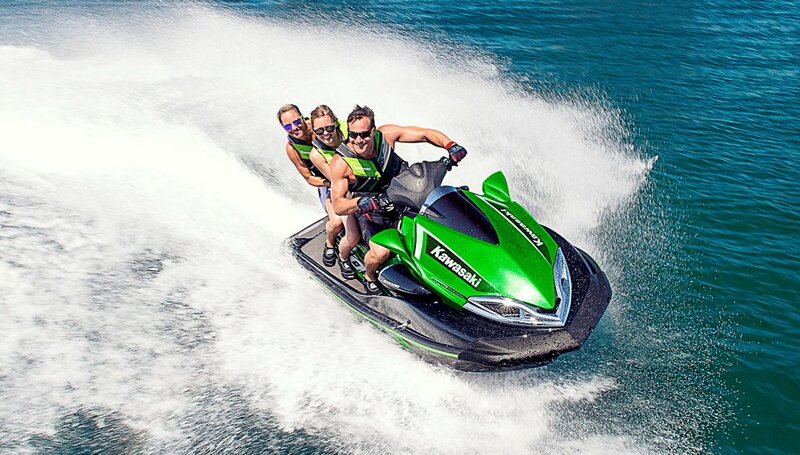 The 2018 Kawasaki Ultra 310LX ‘s 1,498cc four-cylinder engine is fitted with both supercharger and high-volume intercooler to develop tremendous power, whether out of the hole, through the midrange, or at top end. In terms of pure horsepower rating, it remains king at 310 hp. And at every step of the way, it feels it. 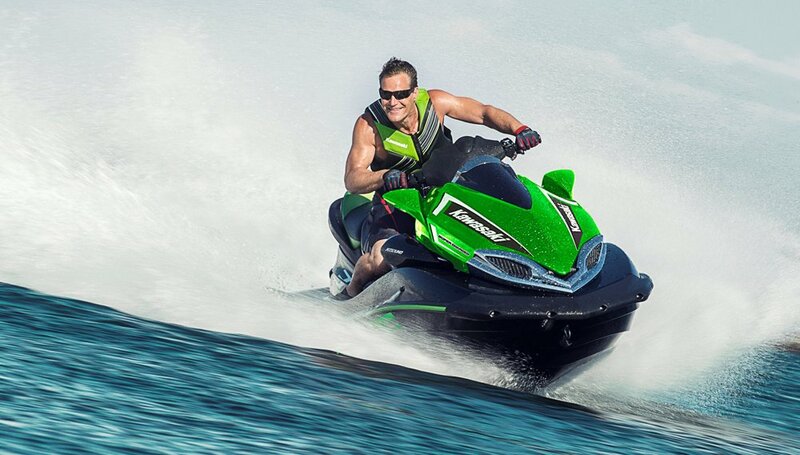 Yank the throttle and your arms feel an instant stretch as the craft leaps forward with tenacity. Top end varies depending on rider and conditions, but confidently hits the 67 mph mark before electronic limiting comes into play. Reliability is long proven in the toughest of conditions. Ultras are regulars in offshore racing circles for good reason. It’s arguably the craft’s hull, however, that makes the Ultra a standout in those less-than-perfect water conditions. A 22.5-degree deadrise allows the craft to slice its way through wakes and waves, rather than get pushed around by them, and the overall hull design provides exceptional stability and predictability en route. 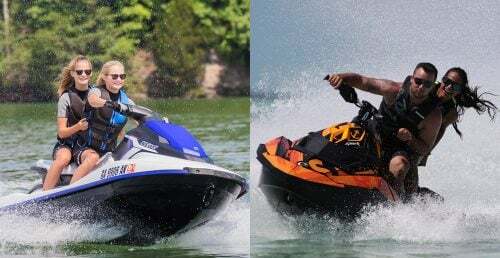 Experienced riders will use that stable, aggressive nature to push their limits in the roughest of conditions, but less-experienced riders will also benefit as the hull delivers up few if any surprises along the way. It’s a confident ride, and inspires confidence in those in the saddle no matter the experience level. 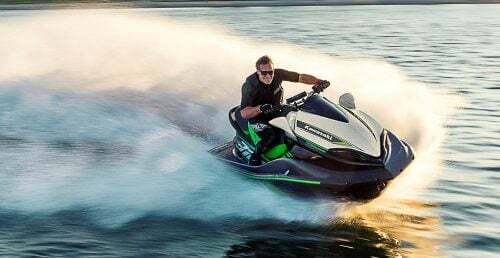 Never dismiss the 2018 Kawasaki Ultra 310LX as just a rough-water ride, however, as it surprises in calm conditions as well. With judicious use of the electric trim, riders can drop the bow and power through a corner with surprising agility before trimming up to gain top speed on the straightaways. Tuned sponsons keep the stern anchored at all times. Five-position tilt steering allows riders to dial in their position for the varying conditions or their own physical size. Other flagship traits? The checklist is shorter than some, but always on point. A bolstered, touring saddle is pleasantly plush, with a unique cover material that resists heat buildup. Cruise control and no-wake mode take the hassle out of long-distance cruising, watersports towing, and those seemingly endless slow-speed zones. An ECO mode allows you to get the most mileage out of your fuel supply, without overly governing performance. Storage and fuel capacity are massive at 56 and 20 gallons respectively. The craft’s one true “big-ticket” extra is arguably its sound…as in system. 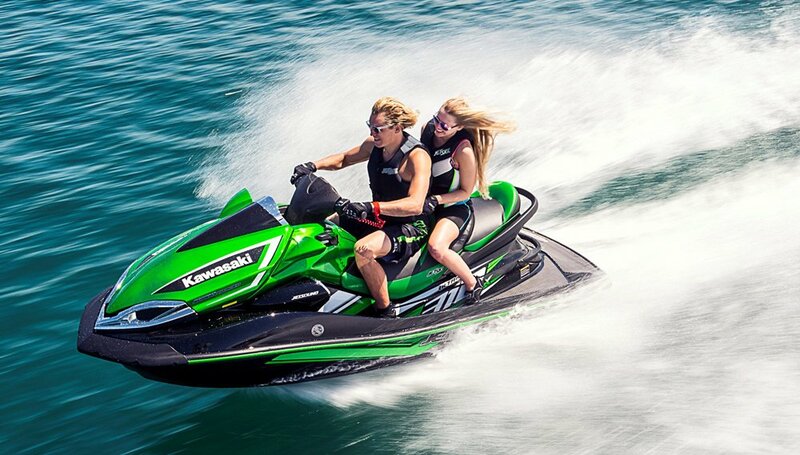 Kawasaki was the first OEM to include a factory-installed sound system on a PWC, unveiling the appropriately titled JETSOUND all the way back in 2014. 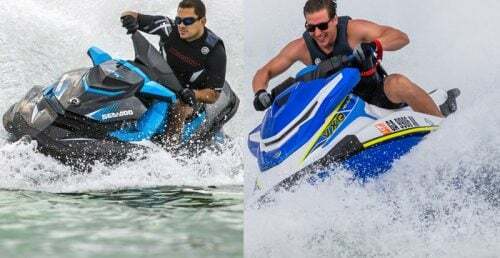 It was a bold move at the time, one never fully embraced by Yamaha (which offers only an aftermarket sound system) and only this year followed by Sea-Doo. JETSOUND melds seamlessly into the existing Ultra layout. The speakers, a pair of 60-watt waterproof models with stylish chrome bezels, are cleanly integrated into the design just below the rearview mirrors to best direct sound toward driver and passengers. A round head unit controller is located on the handlebar pad (next to a pop-out for a handheld GPS), with a 40-watt amplifier located out of sight within. For the musical input, Kawasaki turns to a choice of connections, one a USB memory stick housed within a water-resistant aluminum cylinder with screw top, the other a connection for phone or music player included within a waterproof dry bag. Both reside within the glovebox, both to stay handy and keep from exposure. 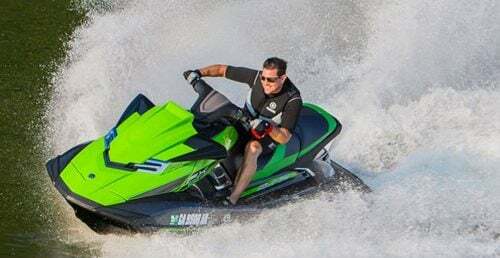 No, unlike Sea-Doo there’s no Bluetooth, meaning you’ll need this physical connection between music source and system, but sound quality is crisp, clear and of adequate volume to hear during full-speed rides. It’s also, however, surprisingly not annoying to those outside its target area. 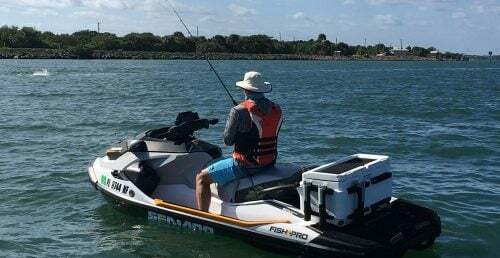 Sound spillover shouldn’t bother your watery neighbors, nor should it be so loud as to distract the driver from other boaters sharing the waters. 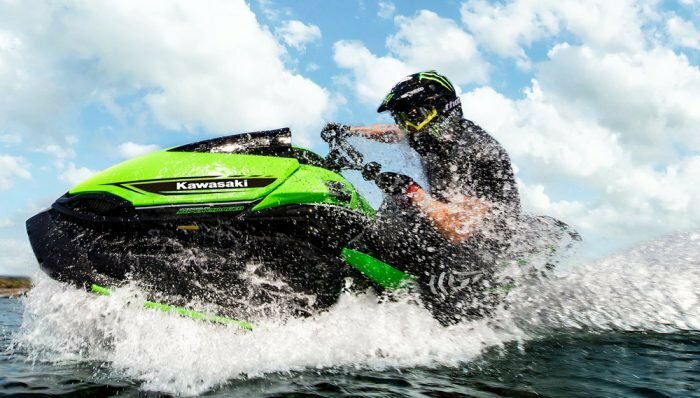 And as I’ve noted in previous reviews, it also seems pretty resistant to skipping, even when encountering the rough waters the 2018 Kawasaki Ultra 310LX is made to traverse. 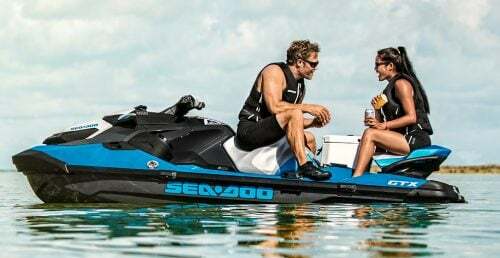 That sound system once placed the Ultra 310LX in a category all it’s own, but Sea-Doo’s introduction of BRP Audio Premium in 2018 now gives the Ultra a worthy challenger in the competitively priced Sea-Doo GTX Limited 300 ($16,899). Like the Ultra, the GTX Limited 300 boasts similar horsepower and acceleration, as well as an offshore-worthy hull that can also satisfy in calm conditions and a Bluetooth factory sound system. 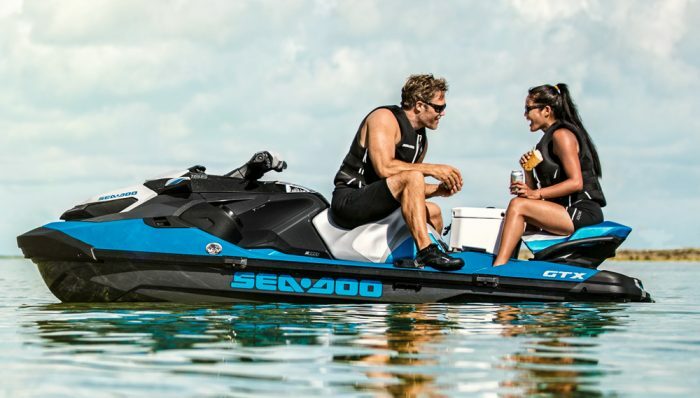 Sea-Doo also piles on the extras, from the very versatile Intelligent Brake & Reverse system (for now Kawasaki remains with only mechanical reverse) to a new direct-access bow storage configuration, modular seat design, expansive rear swim platform, and innovative rear-platform cargo attachment system.